If you’ve tried at home remedies to manage your menopause symptoms at home, but you’re still suffering, it may be time to see a physician for more options. Hormone replacement therapy is used to mitigate menopause symptoms in pre-, peri-, post- and surgically menopausal women. There are various types of medications and treatments that can replace naturally occurring hormones and ease the discomfort from symptoms like night sweats, mood changes, sleep concerns and more. 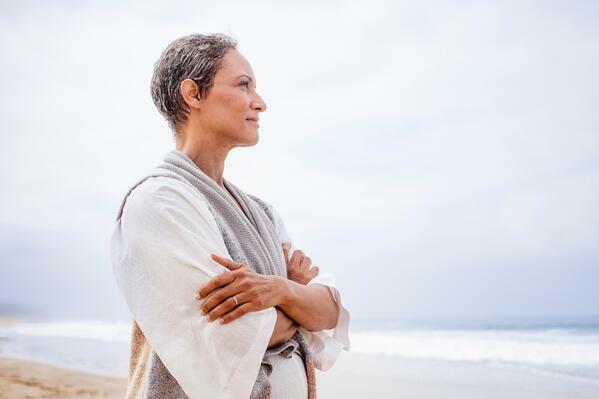 When should I start hormone replacement and who is eligible? Isn’t Hormone Replacement Bad for You? There are many myths about hormone replacement therapies, but they are, for the most part, safe and effective. In fact, systemic hormone replacement therapy has been proven as preventative medicine in some cases. It isn’t for everyone though as it’s all about timing and type. Studies have shown that, in addition to menopause symptom reduction, the benefits of starting hormone replacement therapy within five years of menopause can include a reduction in the risk of heart disease, dementia, colorectal cancer, hip fracture and macular degeneration of the eye. Hormone therapy and menopause are very personal. The first visit to your physician is the hardest. But keep in mind that providers, like me, who are trained to treat menopausal symptoms are here for you. No question or symptom is too big or too small. By tailoring a program for you, we can help menopause to be a breeze.